Mums & Bubs (& Dads) is designed to get parents into fitness in a social and enjoyable setting, and removes “have to look after the kids” as an excuse for not being able to work on yourself. This class is designed for parents who want to get back into training and set a positive example for their children at the same time. Leasa leads the sessions, while Callum will entertain your little ones so you can focus on you. 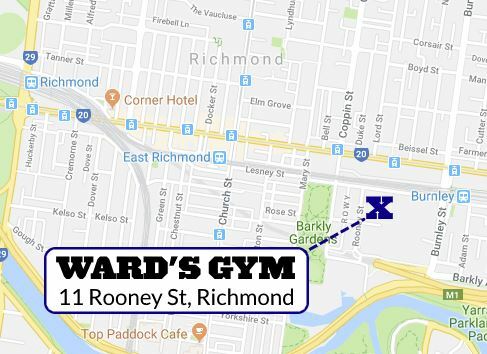 Mum’s (and/or dads) & Bub’s Fitness in Richmond is a 45-minute circuit designed and run by Ward’s Gym Strength & Conditioning Richmond. It’s tailored to each individual’s needs and scalable to any fitness level. Suitable for mothers with kids from 2 months and above. You can start as soon as you like after having your baby just so long as you’ve been given the green light from your GP. We have Mums (and Dads) that start with us when their kids were 6 weeks old and now are in primary school and they’re still coming. Wards Gym Mums and Bubs is more than a class, it’s a community. These sessions focus on improving core strength, toning and overall fitness. Each session is run by one of our experienced coaches who have kids of their own. While you workout your bubs will be supervised by another staff member so they’re safe and happy and you can get more out of your workout. Session times are mid-morning to fit in with your bubs schedule.